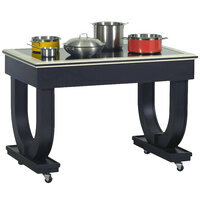 Induction buffet tables combine functionality with appearance, making them great options for front-of-house display cooking. 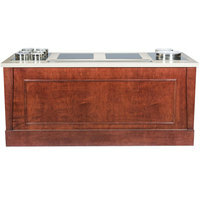 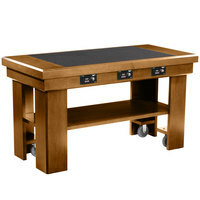 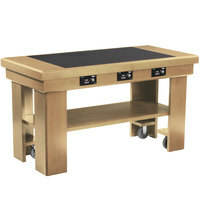 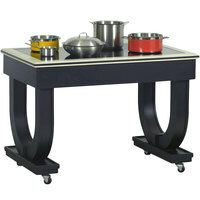 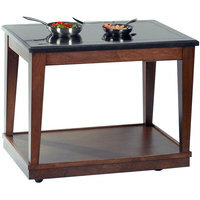 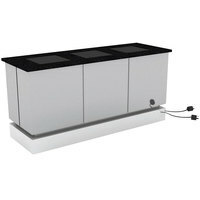 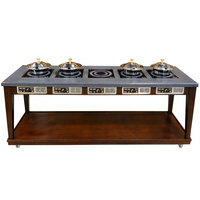 Each table features an induction cooktop mounted on a wooden base. 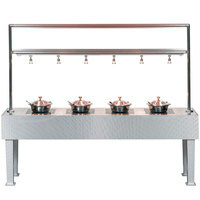 Choose from options with different numbers of ranges depending on how many different foods you need to cook simultaneously. 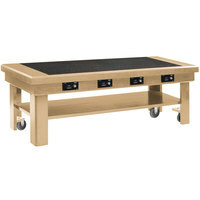 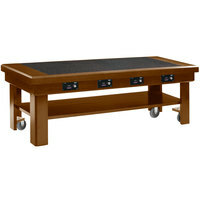 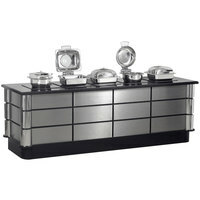 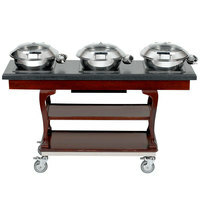 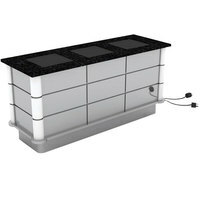 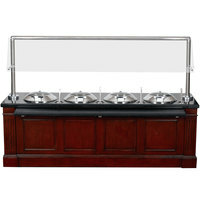 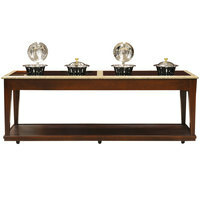 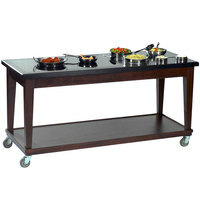 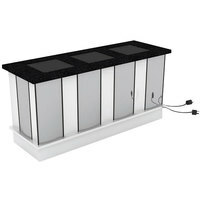 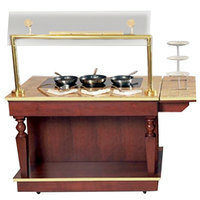 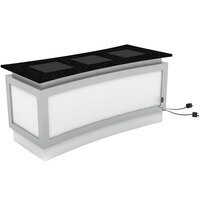 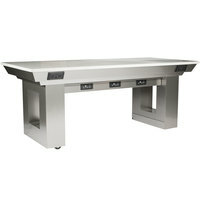 Make omelets, pancakes, stir fry, and customized meals on these induction buffet tables. 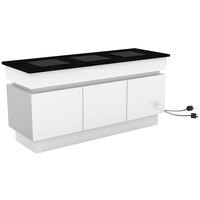 Thanks to their dial controls, you can easily adjust the temperature settings according to your recipes. 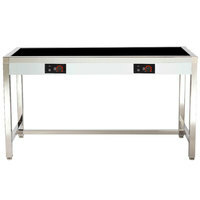 You’ll also appreciate that these tables reduce the risk of injury at service stations because they don’t use open flames, and their cooking surfaces don’t get hot.